Are you the rainmaker in your company? Or is your company not growing as fast or strong as it could because no one really owns sales? Do you find yourself working long hours, weekends, and holidays because you didn’t have time to work on product issues, operational excellence, or team connections? Many entrepreneurs, business owners, and Presidents find themselves in the exact same predicament. The costs and how additional hires affect the bottom line – how much more needs to be sold to cover their expense? These are real fears shared by real business leaders with me over the past several years. 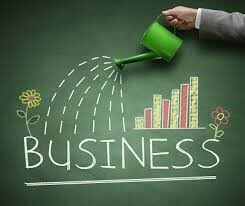 Yet, without adding sales help at the right time, you may become the biggest barrier to your company’s growth! You have incoming leads that have become stale because you don’t have the time to connect with them. Additional sales profits can cover the costs of salary, commission, benefits, and perks. The other teams in your company draw sticks to see who can get your time and attention when you’re in the office. You know there is more opportunity, niche targets, or geographical expansion and you don’t have the time to work on capturing those sales. The competition smiles all the way to the bank because they know they have a competitive advantage over you with responsiveness to inquiries, deal opportunities, and ongoing business. You don’t like, nor really want, to sell. The connection with your family is through Facetime, Snapchat, or texting, more than face-to-face in the same room conversation. 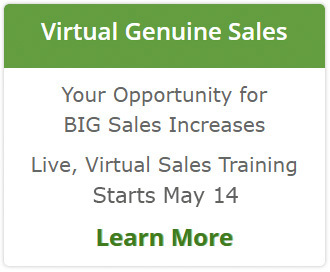 Okay, so you think you are ready and realize your business will grow and thrive with others focused on making sales. Now what? Commit to the investment in time, money, resources, and effort into ramping up a new sales hire. New sales reps need a lot of time for the first 3-6 months. They will need training, product knowledge, your time in making connections, an identifiable sales process, and tools (a CRM like OnContact is a must) to do their job well and provide you with data to manage and coach. Review your options for the type of sales help and select your path. There are different ways to add sales help: direct sales team, independent rep firms, full or part-time, inside sales (one great person working the phones can be better than three, feet on the street), field sales, home office centered or placed in a specific geography. Maybe a sales leader who will build a team for your company is the best first step. Outline the job description, comp plan, territory or sales plan, and training/onboarding plan. If you aren’t ready to make the time to define the specifics, stop now. The probability of wasting time and money on a bad hire, or worse, a good hire who won’t succeed in a bad environment, is too high. Ask for help or hire experts to guide you through the process. Hiring and on boarding is a big, and time consuming, job. Consider the cost of your time and determine whether an upfront investment in doing this right the first time is worth more than the possible headaches, frustrations,or bad outcomes you may encounter if you don’t have the time or knowledge to apply to this effort. Recruit, select, and hire. Approach this hire carefully. Attracting, interviewing, and selecting sales hires needs a plan, discipline, and good fact checking, to make sure the person can sell and will succeed in your environment. If you’re ready to move from sole rainmaker and entrepreneur, it’s time to delegate sales, and it may be the best strategy you execute to grow your business and keep your sanity. Adding the right person will elevate you to key company executive and help your company thrive. 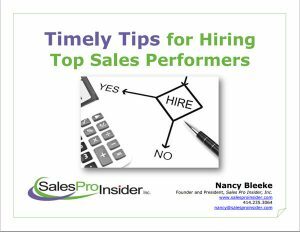 Get your free copy Timely Tips for Hiring Top Sales Performers here. It’s full of helpful information to increase your probability of selecting sales all-stars.